UPLIFT OUR YOUNG LEADERS FOR TOMORROW - Soul River Inc.
Our LEADers will merge with critical key leaders within the National Wildlife Refuge Association in the Florida Everglades within the conservation and environmental world and covering current dangers toward the Florida Everglades with regard to it's fragile ecosystems. LEADers will also act as field reporters when returning back to their own communities, building advocacy around the Everglades to help raise awareness. From addressing the issues to key political leaders to sharing in an open forum at City Hall to holding an online podcast - all of this presents opportunities for the youth to be a stronger voice. 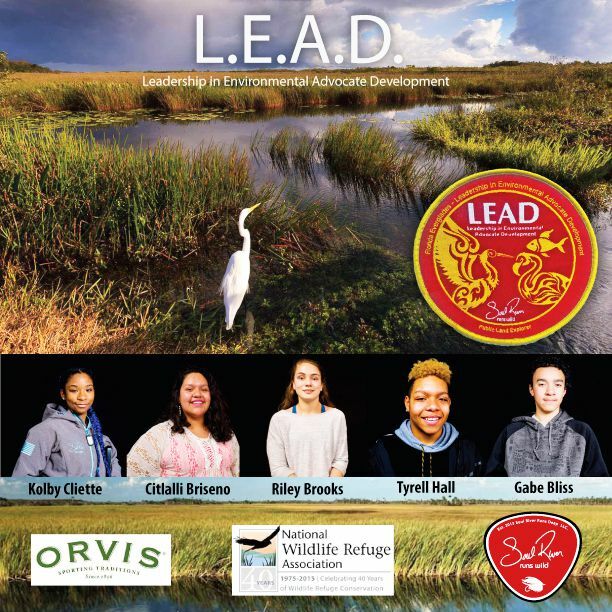 LEADers will also work on developing new business partnerships within the Florida Everglades and will be tasked to learn about the Wildlife Refuge systems that are within and around the Everglades. Activities our youth LEADers will be learning.